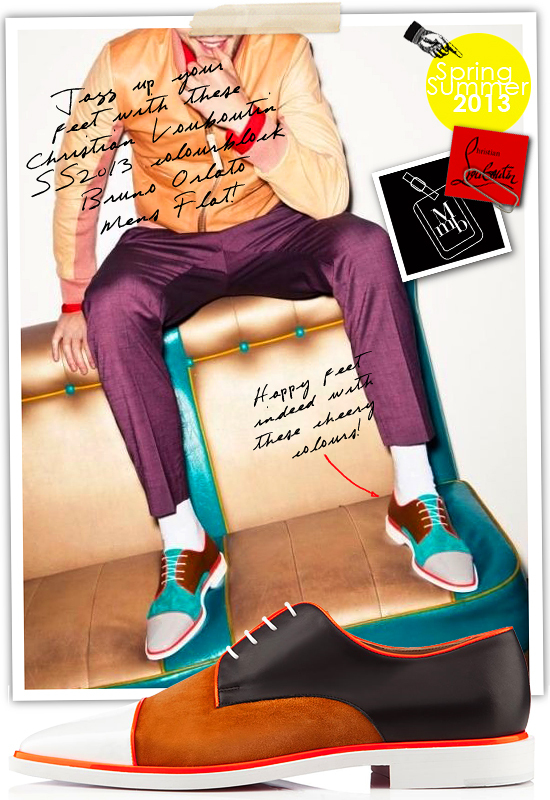 Tap your feet, play some Cuban jazz and put on your Christian Louboutin ‘Colourblock’ Bruno Orlato Mens Flats (USD995)! Yes, these happy shoes are definitely ready to jazz up your summer style. The stunning colours trimmed with the brightest pink or orange leather enhances the colourblock effect and creates a fun graphic appeal for these dapper footwear. Who needs studs when you have all the fun with colours? I love the contrasting white soles with leather and suede combination. There’s texture and colours all combined into one. Wear with your upbeat summer pieces, (as demonstrated in the pic featured above) and you are all set to paint the town red or any colour you desire! I am a fan of the pink trim and blue version. 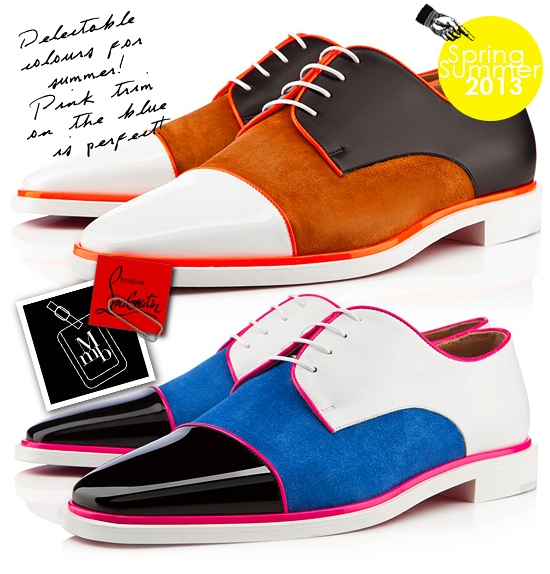 Click here for more pics of Christian Louboutin Bruno Orlato Mens Flat on my facebook fanpage. 'LIKE' my fanpage if you enjoy reading this post.